You hear the saying all the time, that a picture is worth a thousand words. It’s no doubt absolutely true for your wedding day- a day full of such love and wonder, special moments and the most amazing deep emotions that you could ever imagine (and often do imagine for days/months/years leading up to your special day). Long after the cake has been eaten and the dress has been preserved, your pictures (and video) will remain as the most tangible remnant of your wedding day- a strong symbol of your enduring love and commitment to one another. For this reason, and if I had to do everything all over again, I would sink my ENTIRE wedding budget into wedding photography. I’d “Rent the Runway” for my gown or DIY my invitations, if it meant that I could have the essence of my wedding day captured in detail, so that I could relish those moments forever. (And so that my family could also do the same, generations later). I’ve always been sentimental and so when it comes to budget, I confess that the ideal trumps the practical at this stage in life. And yet where there is a will, there is also a way to allow your wedding vision to shine through with confidence knowing that you have made the right investment. Recently, I had a mother of the bride ask me my tips and advice for wedding photography. I felt it was a great question and something that I wanted to share here for all the brides to be. Will you do me a favor? Will you just imagine for a minute that I am NOT a wedding photographer? Imagine for a minute that I’m your matron/maid of honor or your favorite aunt and I’m just chatting with you casually about the ins and outs of a wedding day and how you can get the most out of your photography investment. The most important of all considerations, in a nutshell is having a generous timeline. By this I mean that wedding photography is way more than just “snapping a few pictures” while you say I DO. It’s the entire process, the transformation of becoming the BRIDE, and of the two becoming ONE… This is both a process and something that happens within the blink of an eye. There are so many special moments that happen on that day and things that can get lost as the day tends to go by in a blur. But when you look back at your photos, you will be reminded of all the moments that lead up to your BIG “I DO” and your exit as HUSBAND and WIFE. 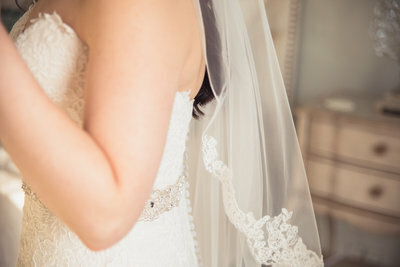 Being able to take your time getting into your dress and capturing the emotion of everyone seeing you in your bridal gown (as it fits PERFECTLY on you this time!) as you are transformed into the bride that you dreamed of, is an incredible moment and just one such moment you don’t want to miss. Think about your details and the little things that make your story uniquely yours. You will want to document many aspects of your bridal attire like shoes, jewelry, hair piece, veil, dress, perfume, florals along with the invitation suite and vows (if you have them). Including your family’s legacy is also one beautiful way of sharing your joy with them (and these special photos make great gifts to parents and grandparents). Details are one way your story is personalized to you as a couple on the journey to become one. Incorporating a 1st Look. What is a first look? Simply put, it is a special moment between the bride and the groom where they have a quiet private moment to meet before the ceremony. The photographer captures this (and perhaps additional photos on the property) and may even plan to do family photos prior to the wedding as well. For the traditional types, sometimes the concern comes up about seeing the bride prior to the ceremony and if it does, I usually suggest an alternative, like exchanging gifts or a letter, or when appropriate, praying together (all done back to back or on a corner). These images are stunning, intimate, show raw genuine emotion, and heighten anticipation. Couples who decide to incorporate such moments receive ~ 20% MORE images in their wedding gallery. 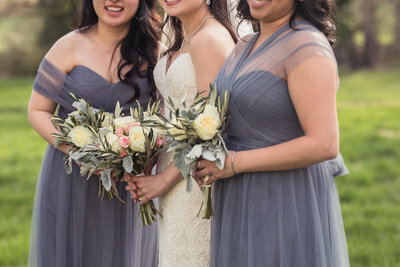 And one last note here, for folks who choose to do a first look PLUS the family photos prior to the ceremony, they then also get to enjoy cocktail hour with their friends and family and are more relaxed throughout the day! Who doesn’t want to run over to munch on the delicious food and grab a glass of wine? Front load the reception! If you find that you have to work on a set budget and must trim hours somewhere – consider front-loading the reception activities. Most of the important events like the toasts, dances and cake cutting can be accomplished in 2 hours and a staged exit is often a possibility. One more benefit is that for spring, summer and fall weddings this also means there is additional light available for photos. Choose to include a second shooter. A second shooter can be a huge help to the photographer. This individual can capture the same moments from different angles, with different lenses and may photograph a totally different perspective. Consider the vows – while you are reciting your vows, the lead photographer may be locked in on the response and reaction of the bride and groom while the second shooter may capture grandparents holding hands or parent’s “eyes sweating.” (wink). A skilled photographer can do a great job to capture a variety of moments, but having a second shooter will go even further. Generally speaking, hiring a second shooter may be about a 10% additional investment with about a 20% increase in images in the gallery. Take advantage of Golden Hour photos. For the spring/summer/fall weddings there is often the opportunity to sneak away for one more set of pictures between the bride and groom. A skilled photographer only needs about 10 minutes and I promise you you’ll be thrilled to have those additional 20-40 more images in your gallery from the amazing venue you chose for your wedding day. Say YES to a package that includes engagement photos, even if you already have engagement photos. Being able to meet your photographer and work with them is a wonderful way to get used to the posing process and feel 100% confident heading into your wedding day. 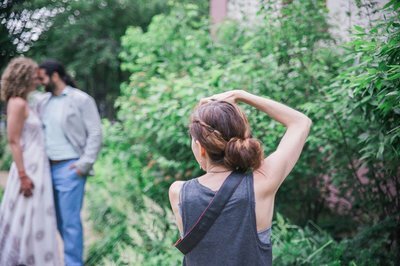 Your photographer will learn your level of comfortability with “PDA” and your even your quirks and likewise, you’ll learn about your photographer’s manner of speaking. When you meet again on your wedding day, it’s like linking with an old friend! One last small detail – if your photographer offers albums you might ask about upgrades on albums prior to your wedding day. Often there will be incentives for including albums in your contract and they also make great gifts for parents (check!) and grandparents (check-check!). Let them do all the work for you as it’s a joy for them to serve you and your family in such a way. P.S. A few wedding photos and then… (A few photos of my family and me! My husband is active-duty Army and we have two littles age 6 and 4 who enjoy spending time together playing Jenga, dancing, anything-Paw Patrol and reading books).